I think they use desks, but I am not the person to ask! I worked out of a storage closet at my part-time gig at a Catholic School as their advancement director. Ironically that didn't feel very advanced. I don't feel very relaxed either and I have been shocked each time my services are required to whip up a meal. Didn't I just do this? Aren't there still leftovers, somewhere? I am not babysitting over break (yippee), so when do I get to relax? Shopping for office clothes does sound fun - a tad jealous. I normally enjoy getting clothes for Christmas, but I don't feel like I need any. 'When will I wear this? It's too nice. I am just going to be babysitting' aka spit up, smeared peanut butter, etc. Some people have stand up desks now. Chairs are optional as is a bouncy ball lol. Not sure what the clothes situation is there but everyone really dresses down where I work. Yeah there are still desks...usually shoved into cubicles and everyone can overhear everything you say. Unless you get lucky and your cubicle is kind of isolated. Or maybe, you'll get EVEN luckier and get an office with an actual door! Happy New Year and good luck with the new job!! Best of luck as you prepare to reenter the work force! 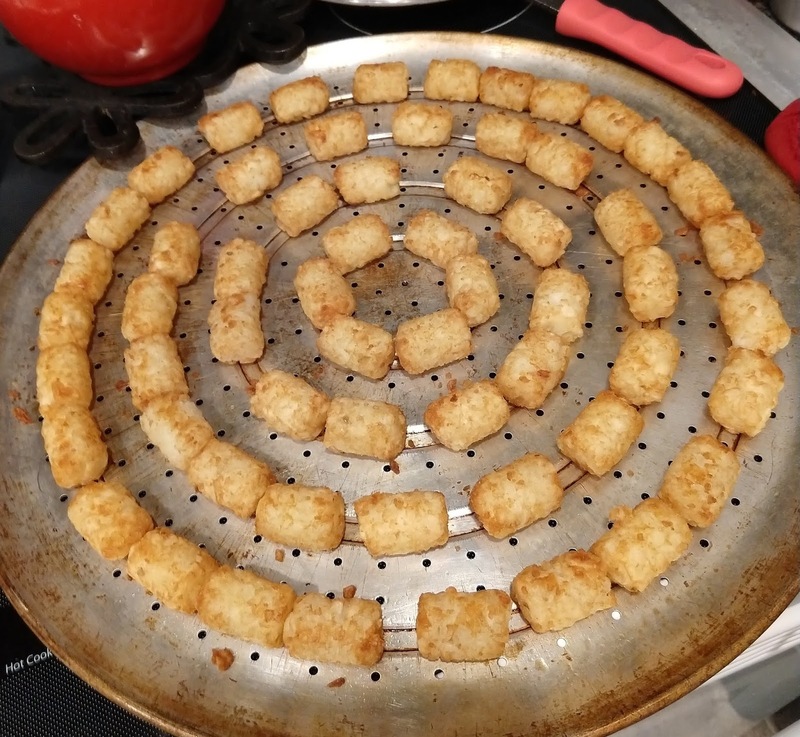 The tater tot photo brings joy to my heart. But vertigo - no joy in that. I wish you good luck in your re-entry into the working world. If you aren't an undergrad student, I'm guessing you will probably get a desk, but what do I know - I work at home. Congratulations on your new job! I hope it is everything you hope it will be! Wishing you all the best in your new endeavor! I know you will do great! And I love the tater tots ... my engineering crew would TOTALLY get it. Wishing you the very best on your first day of work!